Yep. I'm one of those moms. I really tried not to be this year, but life just got busy. 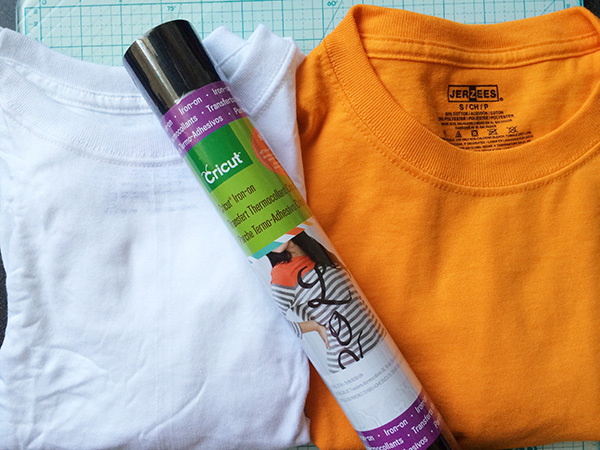 So there I was in line at Joann yesterday with a plain tee shirt in one hand and a roll of iron-on transfer in the other; my Cricut Expression 2 waiting for me at home, and a pretty cool plan in my head. My teen age daughters are at that age where they still want to participate in Halloween activities in some way, but they've kind of outgrown the full-on dress up thing. So we browsed Pinterest and other such online resources and found something they were happy with. 1) Buy a plain shirt. Wash and iron. 2) Design your text on your Cricut screen or in Cricut Craft Room using a sans serif font in black, grey, dark blue, or white letters depending on your shirt color. 3) Be sure to flip your design horizontally (mirror image) before cutting. Cut a piece of transfer the size of your design and place it on your mat, film side down. 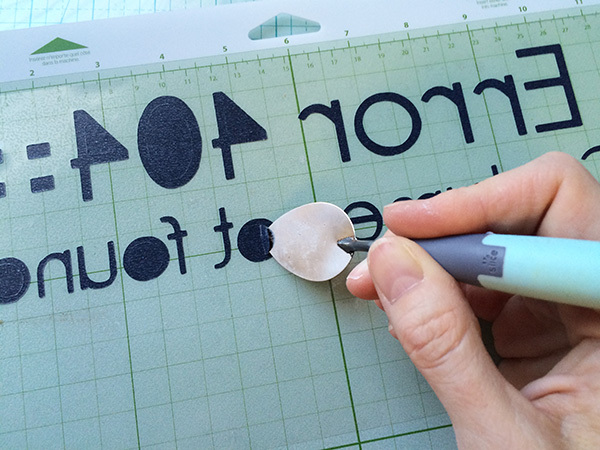 4) Once your Cricut is done cutting, peel away the unwanted transfer so that just the letters are left on the film. 5) Warm up the shirt with a hot iron for 10 seconds, then place the film with the letters (film side up) on the shirt where desired. 6) Cover the design with a thin clean dish towel or pillow case and iron for 30 seconds. 7) Flip the shirt over and iron the back of it (over the design) for 30 seconds. 8) Allow to cool and then peel away the film. If any part of the letters aren't secured entirely, go back over them with the iron and dish towel. Be sure to follow the care instructions from the iron-on transfer packaging for washing. And enjoy your Halloween with all the extra time you'll have now that your costumes are ready!